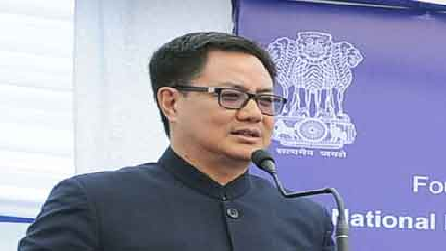 The Union Minister of State for Home Affairs, Shri Kiren Rijiju has said the MHA recently launched the robust Crime and Criminal Tracking Network & Systems (CCTNS), which will mark a huge jump in national security. Shri Rijiju was addressing the gathering after inaugurating the 10th Annual Summit on Cyber and Network Security here today. He said in our country we have the rule of law, and not ruled by law. Unlike authoritarian countries where enforcement is easy, here citizen awareness is very important, he added. Encouraging the private sector to partner with the Government in Cyber Security, Shri Rijiju said the digital age has dawned upon us. There is no escaping the digital economy, he said adding, every aspect of modern life is dependent on the cyber world, be it health, banking or taxation. Cashless economy is a reality, the Minister said, adding that the more we become exposed to the cyber world, the more vulnerable we become to the looming cyber threats and malwares, which may even lead to the economy crippling in the wake of a cyber attack. Shri Rijiju said that we will have to live in this cyber world; at the same time we have to protect our national security and identity. Asking industry to promote the Indian languages, Shri Rijiju observed that studies reveal that English language is the most prone to cyber attacks worldwide, and that it might be of interest to see how other foreign languages such as the Chinese fare facing cyber threats. In his address, Dr Gulshan Rai, National Cyber Security Coordinator, said cyber security has become paramount since the world over the challenge facing mankind is cyber war, barring a rare nuclear threat over the Korea peninsula. Still, the effect of a conventional or nuclear war would be geographically localized, but the cyber war is affecting scores of nations. The word “cyber” is embedded today into every aspect of our lives, driving efficiency and increasing productivity of the various systems, he added.